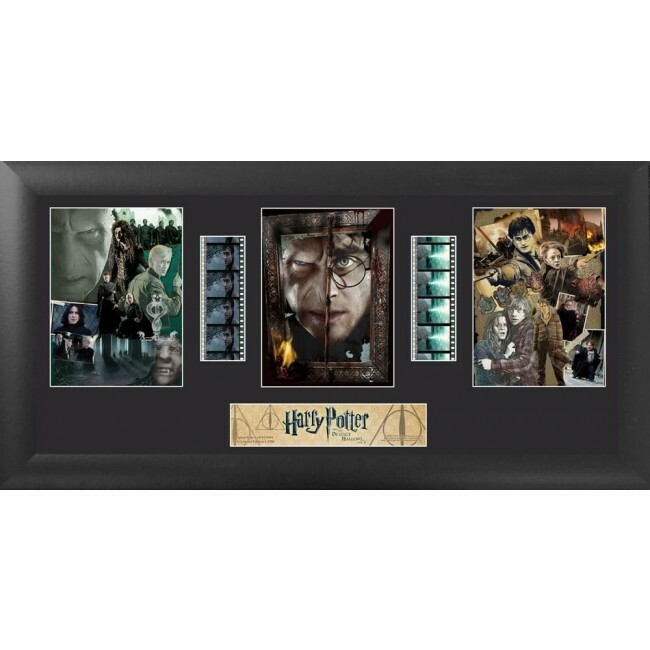 20" x 11" | Film Cell Strips | Limited Edition of 2500 | Framed | Harry Potter and the Deathly Hallows, Part 2 is the final adventure in the Harry Potter film series. In the epic finale, the battle between the good and evil forces of the wizarding world escalates into an all-out war. | The stakes have never been higher and no one is safe. | But it is Harry Potter (Daniel Radcliffe) who may be called upon to make the ultimate sacrifice as he draws closer to the climactic showdown with Lord Voldemort (Ralph Fiennes). | It all ends here. 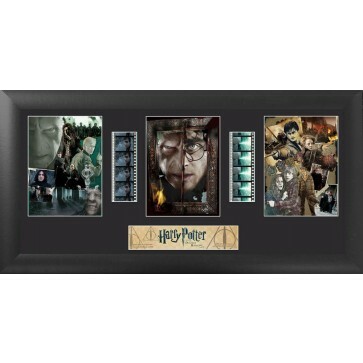 | This item contains clips of film, an image portraying the movie(s), artist(s) or character(s) and a stunning descriptive plaque. These elements have been double mounted and placed within a beautiful black wood frame. Each item comes with an official ? Trend Setters Ltd. certificate stating its authenticity. The film strip portrayed in the image above is only an example of the film cells you may receive. Please note, the cells may vary from piece to piece because they are hand selected from reels of film. | HARRY POTTER, characters, names and related indicia are trademarks of Warner Bros. Entertainment Inc. and Harry Potter Publishing Rights JKR.